There are few chateaux that have marked the history of the Médoc like that of Château Lynch-Bages. It is on the "Batges" lands near Pauillac where this great wine adventure began in the 17th century. The Château, then known as "Cru de Lynch", was owned by Thomas Lynch, son of John Lynch, a native of Galway (Ireland) and a Bordeaux trader. The reputation of Thomas Lynch's wines was such that the Château was ranked among the Fifth Classified Growths in the prestigious classification of 1855 in honour of the World Fair in Paris. In 1939, the Cazes family bought the Château with its 100 hectares of vineyards that made up the estate. A renaissance then began at Château Lynch-Bages. Divided into two parts, the vineyards are spread over the Bages plateau and near Château Mouton-Rothschild on gravel-sand soil that offers excellent drainage. At Château Lynch-Bages, Cabernet Savignon makes up 73% of the vines, and they have found all the necessary conditions to reveal their splendor, which is typical of this area of the Bordeaux vineyards. Château Lynch-Bages does not neglect the other typical Bordeaux grape varieties. There are 15% Merlot, 10% Cabernet Franc, and 2% Petit Verdot. The history of the great wines of Château Lynch-Bages starts with the type of care given to the vines. Since 2006, the estate has used satellite technology to divide up its parcels. The wines take the time to build up their personality that start with the variety and terroir, and then progress to maturity and end with the harvest. After maceration, running-off, pressing, and malolactic fermentation all come at a decisive moment during the wine making process, which requires all the expertise of the estate’s technical teams. 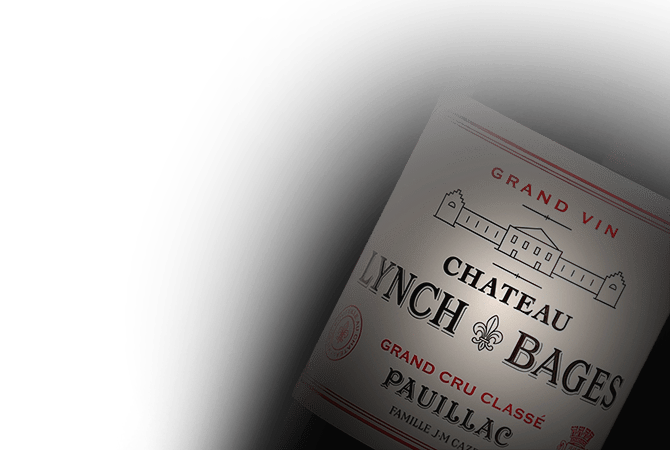 Recognized as one of Bordeaux's most sought-after Classified Growths, Château Lynch-Bages offers the pleasure of powerful, opulent wines that have become more precise after each vintage. Elegant and structured, the wines are generous in their youth while becoming more aromatically complex as they age.